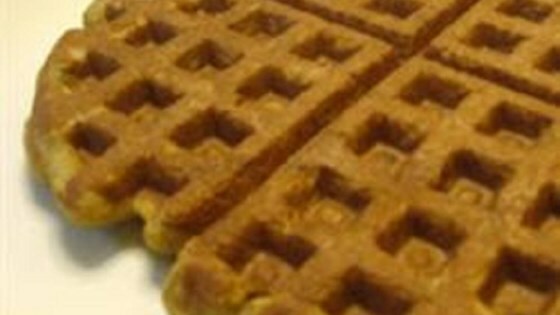 "My daughters believe that waffles are a food group. Because we are gluten-free, we make our own. These tender-but-crisp waffles are perfect." Preheat and lightly grease a waffle iron according to manufacturer's instructions. Whisk brown rice flour, teff flour, walnuts, rice flour, brown sugar, baking soda, and baking powder together in a bowl. Beat milk, bananas, eggs, yogurt, oil, and vanilla extract together in a separate bowl. Stir flour mixture into banana mixture until batter is just mixed. Pour 1/4 to 1/2 cup batter into the preheated waffle iron; cook according to manufacturer's instructions until golden brown, 5 to 10 minutes. Repeat with remaining batter. Honey can be substituted for brown sugar. Any type of milk (dairy, soy, or coconut) or yogurt can be used.